Youre beginning a new chapter in your life — whether youve just given birth to your first child or your fifth. Breastfeeding a newborn can be a joyous experience. But it can also be intense. Ameda helps to make it easy and comfortable for you and your newborn baby. 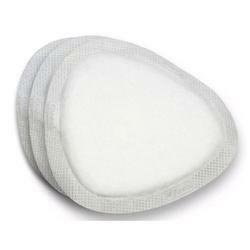 Mom’s Best Kept Secret – the first breast pad shaped like Mom’s bra so no “peek-a-boo” breast pad!